Common Name: Zedoaria, Zedoary, Wild turmeric. 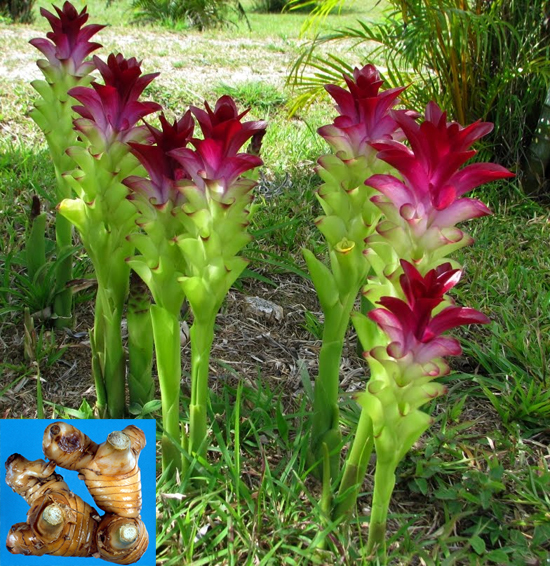 Part Used & Method for Pharmaceutical Preparations: The rhizomes are dug in autumn or winter. They are cleaned, boiled and dried. After the fibrous roots have been removed, the rhizomes are cut into slices. Properties & Taste: Pungent and bitter. Functions: 1. To invigorate blood and move stagnation; 2. To promote qi circulation and stop pain. 1. Qi and blood stagnation manifested as abdominal pain, amenorrhea, abdominal or epigastric masses. Zedoary (Ezhu) is used with Burreed tuber (Sanleng) in the formula Ezhu Wan. 2. Dysfunction of the spleen in transforming and transporting manifested as retention of food, epigastric and abdominal distension, fullness and pain. Zedoary (Ezhu) is used with Hawthorn fruit (Shanzha), Burreed tuber (Sanleng), Costus root (Muxiang) and Immature bitter orange (Zhishi). Cautions & Contraindications: This herb is contraindicated during pregnancy and during profuse menstrual flow.